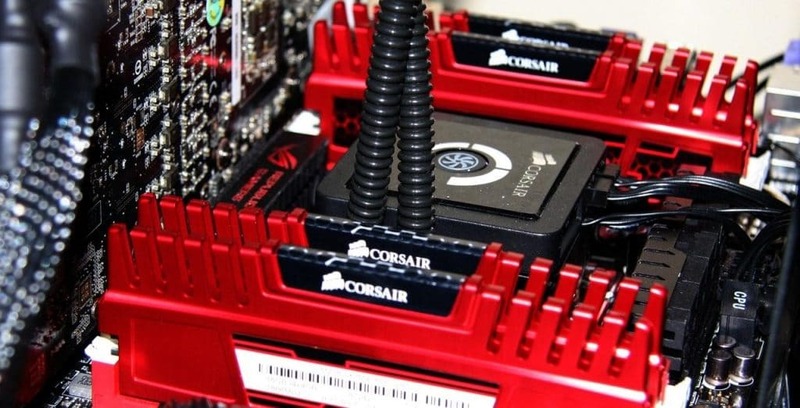 Home Blog Tips & Tricks Memory How Much RAM Do You Really Need for Gaming? Are you experiencing crashes and reports about “Your computer is low on memory”? Perhaps you have experienced significant lags and stutters when gaming? This is a strong indication that you need more RAM to supply your computer’s memory transfer rate needs. But exactly how much RAM do you really need? 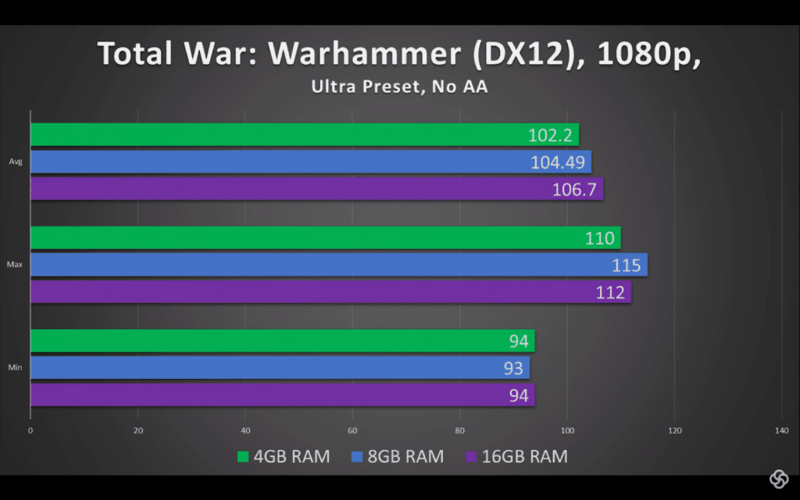 This article should clear the debate on how much RAM you really need for gaming. What Does RAM Do to Gaming Anyway? When you play games, temporary files need to be frequently stored and swapped. But because hard drives are not as fast as RAMs, they tend to store and leverage the task of file transfers onto the RAMs. This is because the constant need to transfer files is more frequent than what hard drives can handle when playing games. If the computer runs out of RAM, they use the hard drive’s special file called swap file. Because hard drives are slower in terms of storing and transferring files, still, they show slower response and performance. 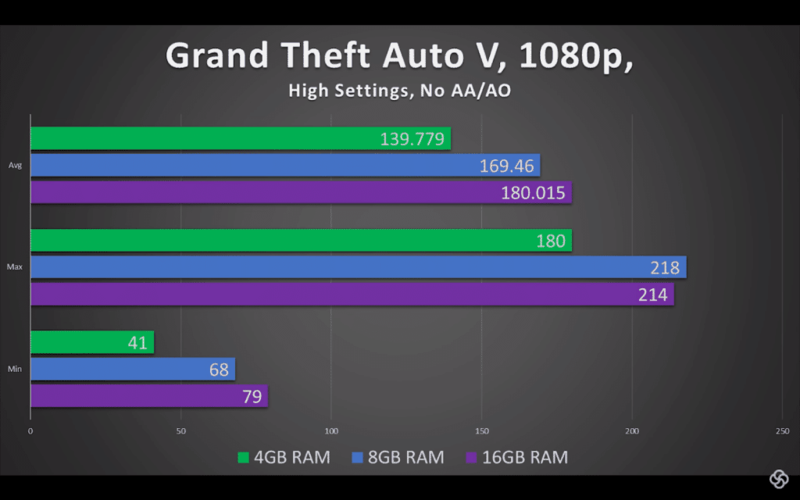 That is why adding the right amount of RAM is essential for gaming to meet the demands accordingly and see better FPS. Gone are the days when 4GB of RAM is the standard for gaming threshold and demand. With so many updates and developments through the years, 4GB of RAM for gaming just is not enough anymore this 2019. Today’s games may look very demanding, especially with all the details and recommended specifications. But read more and you might be surprised at how much RAM you really do need for gaming this 2019. Does choosing the right amount of ram affect gaming performance? Check the comparison and evaluation below. While it is true that some games may not be able to deliver a decent gaming experience if you use a 4GB RAM, some (newer) games have no problems with 4GB. 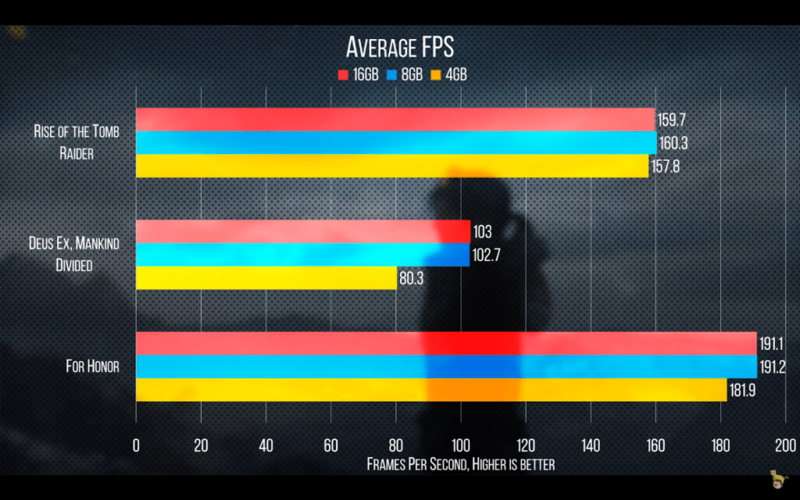 Below are graphs of varying RAM usage when gaming at 1080p for comparison and evaluation. Starring 4GB RAM, 8GB RAM, and 16GB RAM respectively. Image courtesy of Youtube Uploader Science Studio for the graphs below. 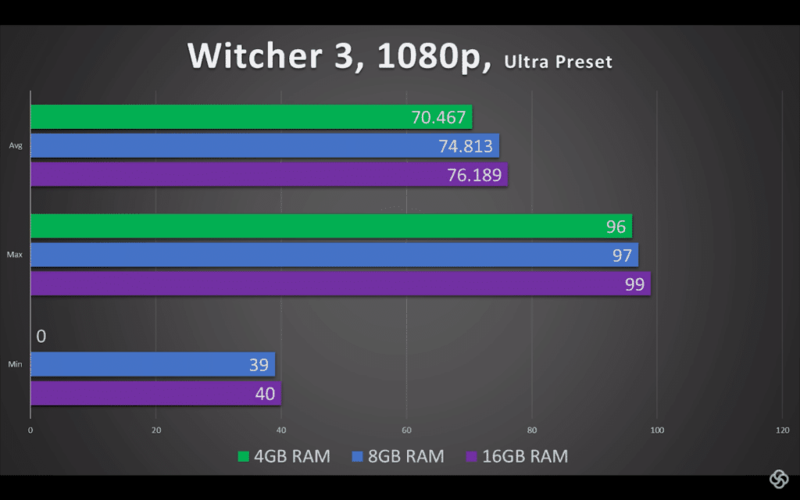 Looking at the graphs above, the games(except for the Witcher 3) have no problems with 4GB of RAM, even when the graphics is set to Ultra, High, and MAX settings. 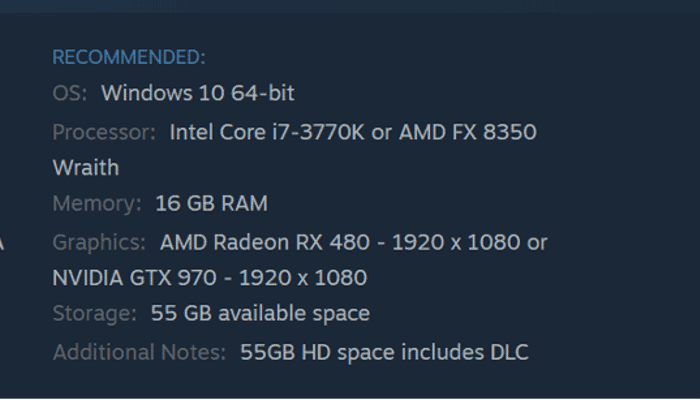 Even games that recommend 16GB of RAM as per Steam Recommended system requirements such as Deus Ex: Mankind Divided, can easily run with 4GB of RAM as shown below. Deus Ex: Mankind Divided Steam Recommended System Requirements. Graph showing FPS Count of Rise of the Tomb Raider, Deus Ex: Mankind Divided, and For Honor, using 4GB, 8GB, and 16GB of RAM, respectively. Is 4GB RAM Enough for Gaming Today? 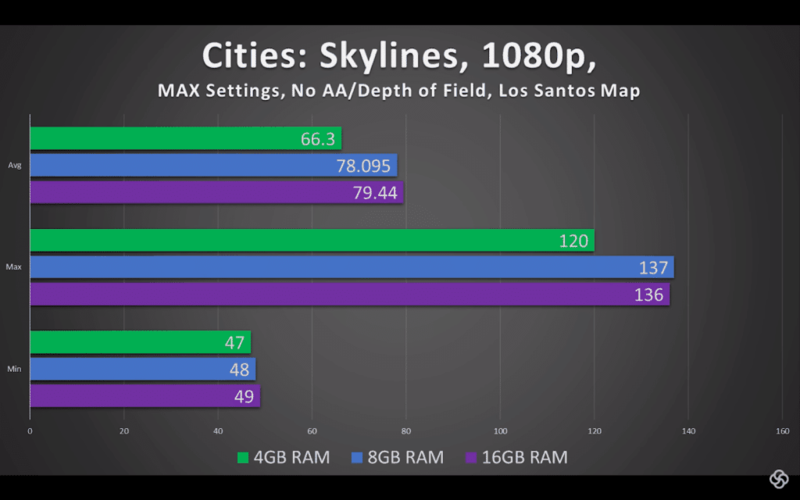 While these graphs show strong proofs that you could easily run quite a number of new games at 4GB RAM, you would not want to risk investing on something only to find a need for upgrade anytime soon. Is 8GB RAM the Ideal RAM then? This here is where the sweet spot is at. Most games today run perfectly with almost no problems at all with 8GB. For gaming purposes, 8GB of RAM should give you results for your investment. This means that if you are solely looking to purchase a RAM for gaming purposes alone, then 8GB of RAM should give you enough amount to ensure that your gaming experience is aided accordingly. However, with all the technological advancements and new game developments running about, should I be worried about having a need to upgrade sooner than how I anticipated? The answer actually depends on a number of cases. Read more to check the reasoning for this regard. Is 16GB of RAM worth investing for gaming? Right off the bat, the answer is yes and no. Depending on what you are aiming for is how a 16GB of RAM will be worth your investment. While most games run at 8GB no problem, there really is no harm going for 16GB as an insurance that you get to pay more upfront for a RAM and not having to worry about upgrade anytime soon AT ALL. Furthermore, this provides you enough space to save up in the long run and invest for other things that matter such as an SSD to aid and boost processing speed and boot up times. But doesn’t it mean that more RAM means more speed? Yes, it does, but games today does not really need that much RAM at the moment, making it a waste of investment if your sole purpose is to invest in RAM for gaming purposes. Although there are specific cases where 16GB of RAM(and even more) is ideal for gamers. Those who are doing content creation, streaming games full time, while playing music in the background (not to mention browsing! ), and casually checking and responding on chat box on Twitch will find this a common threshold. Video editing, as well as 3D modeling applications will also be better off going with 16GB of RAM and more, depending on how much the demand of RAM dictates. This goes true if you are using Adobe After Effects for your editing as the more complex your video turns out, the more likely it will eat RAM to supply its need. It takes quite a lot of memory to keep everything running (especially Chrome!) smoothly at the same time. This means having enough space available should ensure that you are able to do everything smoothly without worries of crashes and whatnot. So, if you are an avid gamer who casually streams games, regardless if you are doing it full time or part time, you will surely find 16GB of RAM to be the best option to consider. Well, there really is no definitive answer to such question. Going for 8GB of RAM may sound to be perfect at the moment for gaming and going more than 8GB or RAM is just a waste of investment. But sooner or later, especially with all the developments racing day and night, you might find a need to go for 16GB of RAM, depending on what demands you meet down the line. With all of the data we have gathered, going with 4GB of RAM may run most games but WILL NOT be a smart investment to make. On the other hand, 8GB of RAM at the moment is how much RAM you really need for gaming. Keep in mind that you should go only for the best DDR4 RAM for gaming and the best DDR3 RAM for gaming respectively, to see efficient RAM performance for your gaming experience. However, why limit yourself with 8GB when you have the budget to give yourself enough air to breathe with 16GB of RAM? Streamers and content creators will also find this to be the basis of their minimum RAM needs to accommodate both streaming and gaming.